Anyone Drink Much Chenin Blanc? You ever heard of Chenin Blanc? If anyone drinks much white wine they’ll have had their Chardonnays and Sauvignon Blancs, they’re the famous ones aren’t they? Chenin Blanc’s oldy worldy home is the Loire in France. But as with most French wines, you won’t see Chenin Blanc on the label anywhere. Proper wine-o’s will have tried Vouvray, or maybe Saumur (which are top drawer! ), but most people won’t have. I get that. Thing about grapes like this is that it gives other countries a chance to own it. Call it Chenin Blanc on the label and make it theirs. 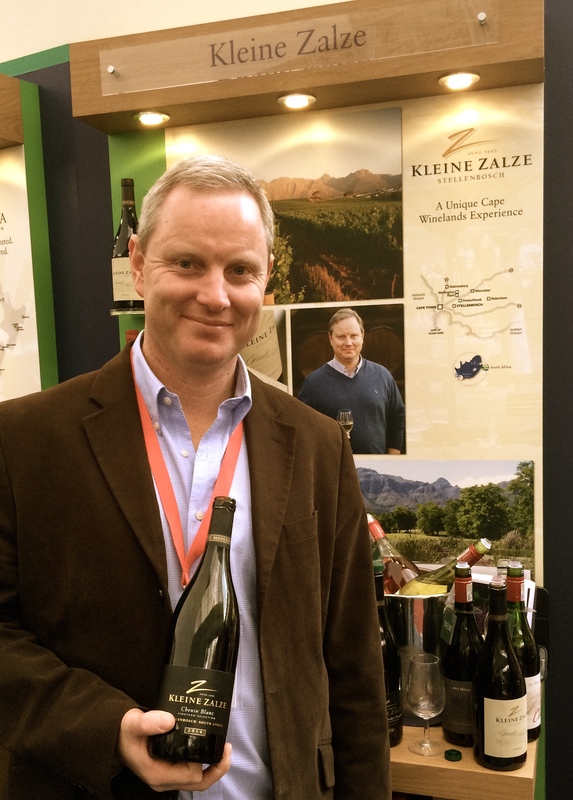 That’s what South Africa are having a go at, and recently (at the London Wine Fair), I got a chance to have a natter with one of the best winemakers out there, Alastair Rimmer of Kleine Zalze in Stellenbosch. You like the fact Sauvignon Blanc is really refreshing to drink? That’s acidity, and Chenin Blanc has got that in spades! You like the fact Chardonnay has a massive flavour range? From apples to pineapples, and peaches to passion fruit? It can be oaked, or it can be buttery or creamy. Chenin Blanc can do that for you too! I’m not here to give you any spiel on why you’ve got to go out and try Chenin Blanc or your head will explode or something! All I’m saying is that for years it’s been the ugly duckling of the world of white wines. South African winemakers are changing all that. All I’m saying is give it a go. Best thing is you don’t need to mess about with nutcase food pairings, just chill it down and pop one open this summer. You’ll love it! P.S. 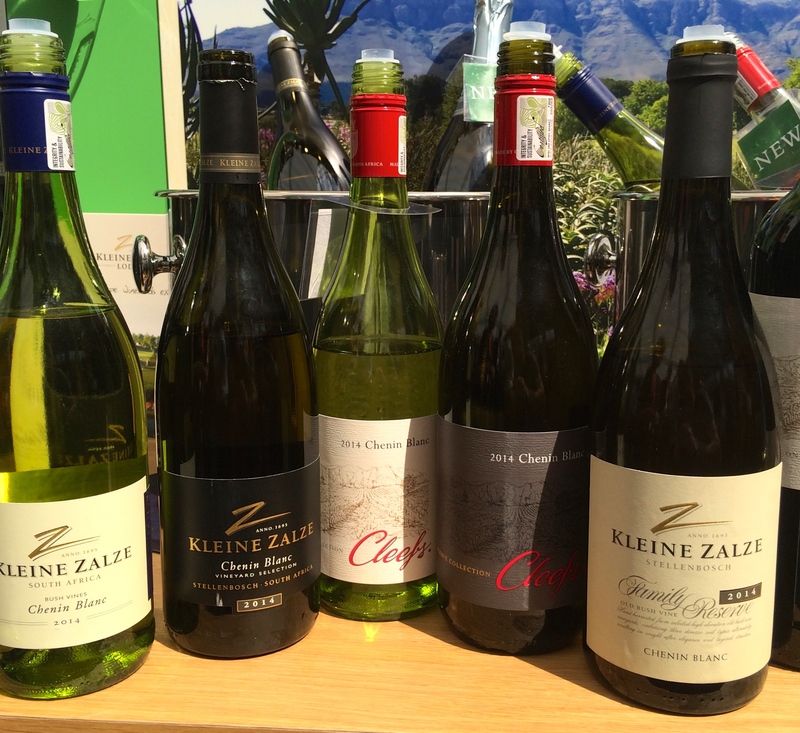 Kleine Zalze’s range of Chenin Blancs were amazing (and award winning might I add!). They’ll be in a restaurant near you soon, do check them out! You may always recommend!! 🙂 Bring it on! I love Chenin blanc but don’t know that I’ve had one from South Africa. I’ll have to look for one. Fantastic aren’t they?! Have a top summer with them! Love it. An importer from SA is raves about it. And with great reason eh? Love the stuff but don’t see tonnes of it here. The French stuff is prohibitively priced and there are just a few SA ones. Margaret River and NZ do some good examples but still no one has heard of it. ← Eating Steak and Drinking Great Reds, Top Night Out!